The romance and elegance of the Hawaiian Islands is yours to experience as the alluring charm of the Valley Isle of Maui becomes the setting for your day. Just the name ‘Sugar Beach’ invokes thoughts of white sands nestled on the azure blue waters of the Pacific. Every wedding at the Sugar Beach Wedding Estate captures the ambiance and romance of this tropical oasis. 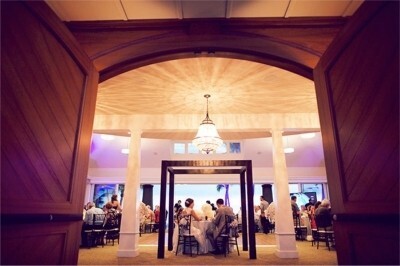 At the estate, your wedding will create timeless memories in an imaginative setting for you and your guests. 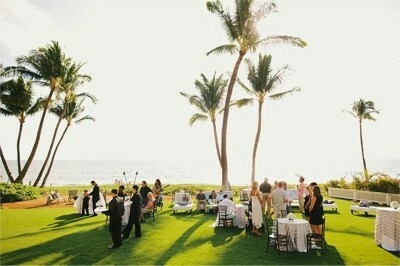 The lush lawn is the ideal location for a sun-kissed outdoor wedding ceremony. The white sand beach to exchange your vows is intimate enough for small ceremonies, yet comfortable enough to accommodate a large sized function. The beautiful exterior serves as a backdrop for this private area that also features a simply designed arch where you can exchange vows. 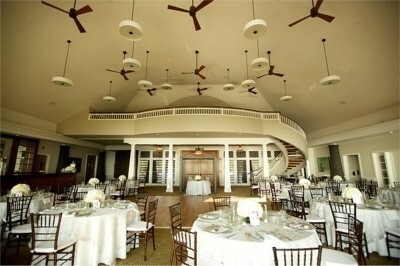 A ceremony in this space creates an easy flow to cocktails and then to your wedding reception. 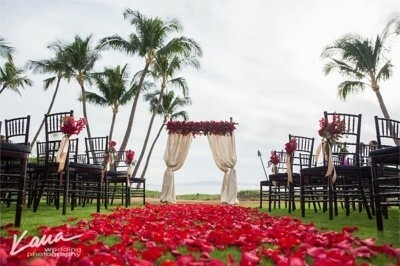 The Sugar Beach Wedding Estate is one of the premier wedding and reception venue on Maui and the location captures the essence of the romance found here on Maui. The natural light, stone accents, live edge polished koa bar and floating spiral staircase add a uniquely dramatic dimension to your event. The Grand Hall is spacious and sophisticated; the ideal location for hosting events and wedding receptions up to 200 guests. It features a lively natural color palette and is elegantly appointed with a distinct cove and LED up-lighting. The décor features oversized teak entry doors that open to a foyer with polished stone chandeliers, and an unobstructed view of the grand sliding glass doors overlooking the Pacific Ocean. Other features include an elaborately designed 22-foot ceiling with beautiful contemporary pendant lights and a mezzanine with an ocean view, overlooking the Grand Hall. 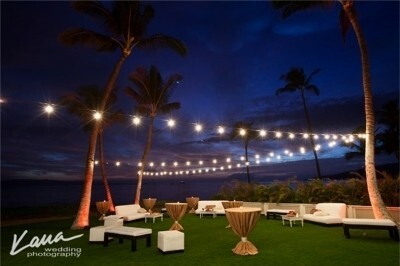 Please contact us for more information on how you can have your Maui Wedding at the Sugar Beach Wedding Estate.